Earlier today, Ol' Myrt here mentioned I sure could use a stencil to draw more perfect "squares." 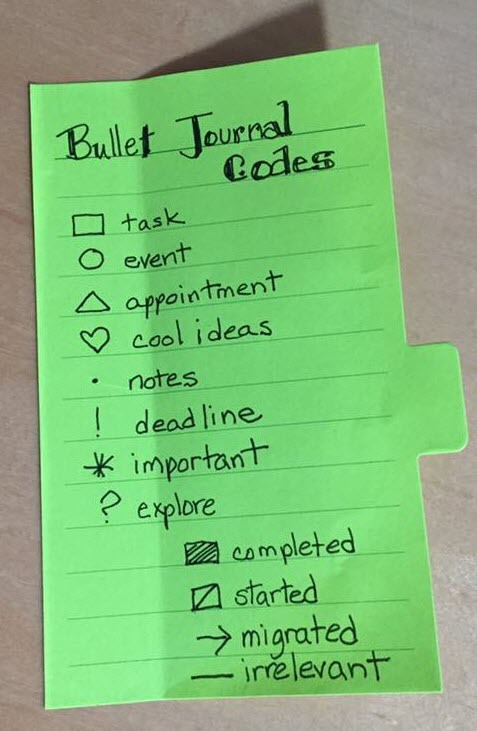 It seems fitting to show what type of bullet journal codes I plan to use. When I create a bulleted item, I will not use a plain old bullet. The square will be my most used, denoting a to-do list item. As I start the task, I'll place a diagonal line through the square, and fill it in when the task is complete as shown in my reminder tab above. 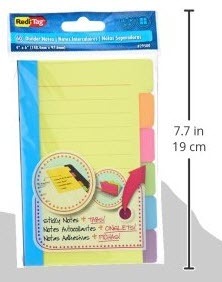 And those tabbed sticky notes? You can pick these Redi-Tag Divider Sticky Notes 60 Ruled Notes, 4 x 6", Assorted Neon Colors (29500) up at Amazon or your local office supply. What codes have you decided you'll use in your bujo? 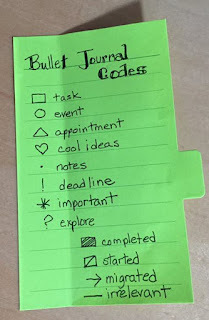 DearMYRTLE's Setting Up My Bullet Journal - Part 2 Why Analog in a Digital World?